Yesterday, I said I was partially sure that Zoey had torn holes in a bread bag and eaten part of a slice, but I wasn’t entirely positive. Well, today, I am absolutely, 100 percent positive. Because I caught her in the act. 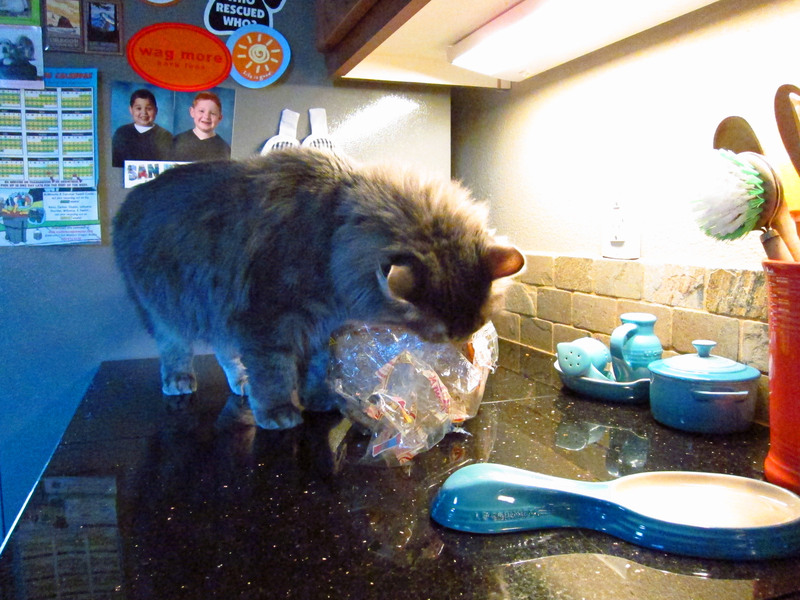 Just like yesterday, Zoey paced around me while I made my lunch, telling me she was hungry. She had just eaten three hours before, so I knew that she didn’t really need anything. After I headed back to my office, I heard a crash from the kitchen. 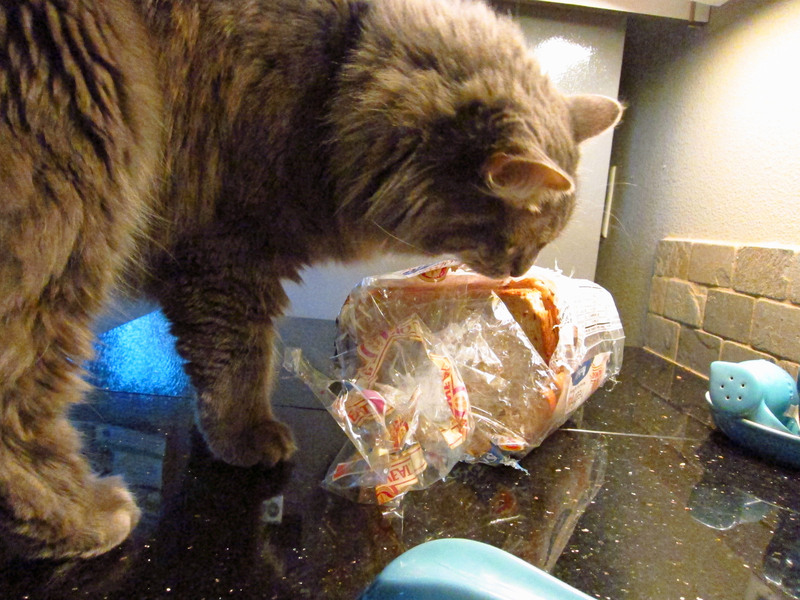 I ran back downstairs only to find Zoey standing over the bread, munching away. 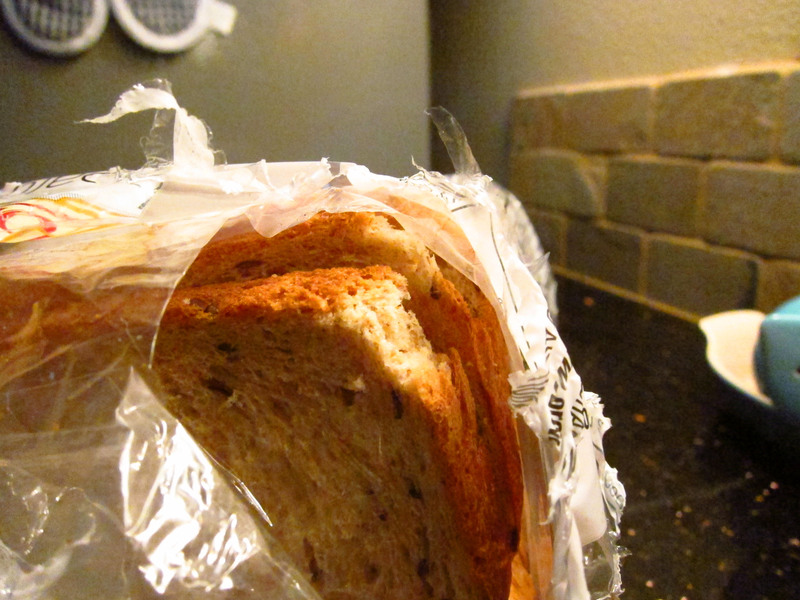 And yes, I had to grab my camera to take a few photos before I took the loaf away — after all, the bread was already a goner and I needed proof that she had done this. The funny part is that Zoey isn’t much of a jumper and to reach the bread, she had to jump a fairly wide chasm between two counters. The kitchen counters are too high for her to jump on. To reach the top of the island, she actually has to jump up on a chair and then climb onto the countertop. 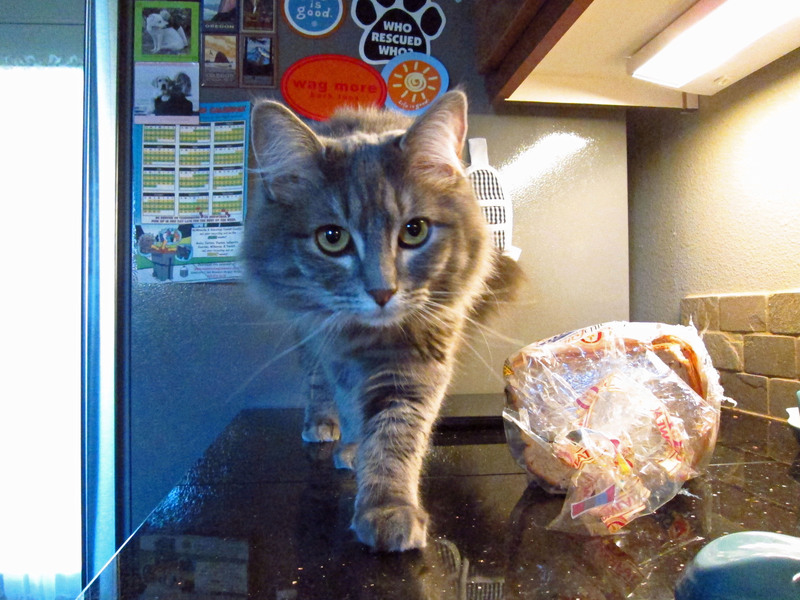 I have never actually seen her jump between the island and the other counters, but clearly, it’s possible when she’s determined. I just never knew that bread would drive her to be so determined. Too funny! A cat with a bread fetish! What a goofball.